Hughes Smart: What is a Smart Home? These days the phrase ‘Smart Home’ is used in so many different contexts that many are left confused as to what the phrase actually means. Nor do they know what to expect from a smart set up. Technically, by having a smart speaker such as an Alexa speaker you have a smart home. The speaker is a device that connects to the Internet and, by talking to her, you can control objects around you. But is this really “smart”? After all, a single device like this is smart in its technology, but it then gets information, gives it to you (the person), and asks you to do something with it. The only smart thing in this journey is you. So how can a smart home truly benefit you? And what actually is it? Take heating as an easy example. At the simple end of the market is smart thermostats like HIVE and NEST. These devices allow you to adjust your heating from your phone – giving you more control. They also start to learn about your habits to ensure that it can start to automatically adapt your heating facilities to suit your lifestyle. This is smart and adds benefits to your home by doing some of the clever work for you. However, a smart thermostat on its own can only do so much and has its own limitations you need to consider. A fully-fledged smart heating system not only provides a tailored heating experience but can also adjust temperatures in rooms individually. It can also work with doors and windows to ensure that you are not heating a room whilst leaving a window open. It also monitors the weather to ensure that it doesn’t start heating a room whilst it is 25-degrees outside. The home heating system starts thinking for itself to become fully smart and add even more benefits to your life. However, a smart home is more than just heating! Smart technology creates thousands of possibilities, for example, you can link the heating system with the lighting so that when it’s too hot in the baby’s room it can change red to alert you. Many smart features can work in tandem so that the heating system can work alongside the weather sensors and blind controls to adjust your blinds throughout the day to help keep the room cool. There really are so many ways you can get smart home systems working together to benefit your lives. 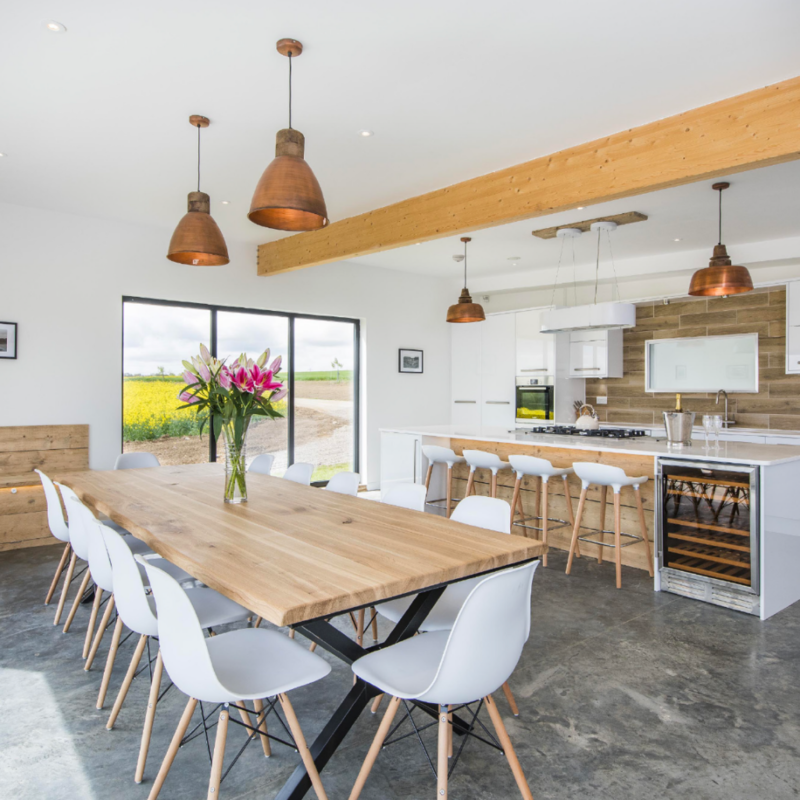 Take a normal scenario of getting back from work or the dreaded school run, instead of having to open the door with full hands and switch on the lights, TV etc a smart home can automate these processes to work alongside each other. You could come home and open your door with a smart lock to save finding ‘THE’ key you need off your key ring. When you walk up to your door, the lights can come on automatically to save you feeling around for the light switches. You could speak to your smart speaker to ask it to turn the oven on to pre-heat whilst you unload the shopping and then also tell your smart speaker to add extras to your shopping list that you forgot this time around. A true smart home works together, not as individual connected devices that all work intelligently, but in a very singular way, but as one whole eco-system that uses smart technology at its heart. 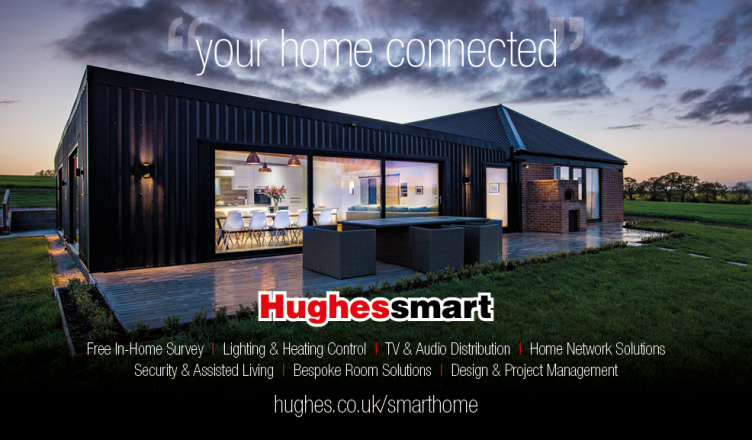 From smart lighting, heating and security, through to high quality TV and audio, Hughes Smart are able to offer you solutions that can not only make your home a smarter place to live, but also improve the way your home works for you whilst saving you money in process.